Websites require design, a domain, hosting, and updates. Fees are paid monthly or annually. Whatever you call it - web address, URL, or domain name - it's the cornerstone of your online presence. When you register a domain name with us, you get several free services and access to additional value-added services to help you manage your online presence. Our robust technology platform provides a reliable and secure solution to manage your services. You can also transfer your existing domain to our platform. If you cancel your website, you can transfer back your domain for no charge. No refunds for registering new domains. Get an email address to match your website. Send and receive email from a branded address like you@yourwebsite.com to ensure that all of your business communications look professional. You can forward a domain-based email to your existing email for free. You can also use a separate email account for an additional fee. 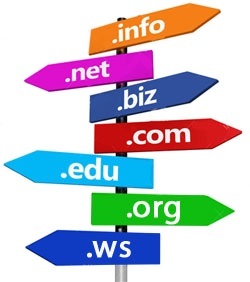 These services are only available for domain names that are in your account.